ROCKFORD, Ill. – The Rockford IceHogs have recalled forward Alex Wideman from their ECHL affiliate, the Indy Fuel. Defenseman Robin Press has also been assigned to Indy. Wideman, 26, has skated in 32 games with the Fuel this season and currently leads the team in scoring with 9g-12a-21pts. He also ranks second among Fuel skaters in both goals and assists and his 108 shots on goal are 24 more than any other player for Indy. The forward departs the Fuel with points in seven of his last 10 games, including a season-high six-game point streak from Dec. 15-28. The native of St. Louis, MO has combined for 115 points (46g, 69a) in 160 career ECHL games with the Evansville IceMen (2015-16) and Fuel over the last two seasons. Wideman has also skated in seven AHL contests during his pro career with the Binghamton Senators from 2014-16. Prior to making his professional debut, Wideman played four seasons at Miami University in Ohio from 2011-15. He finished his collegiate career with 24g-32a-56pts in 140 games and helped the Redhawks capture a CCHA Regular Season Championship in 2012-13, and NCHC Championship in 2014-15. 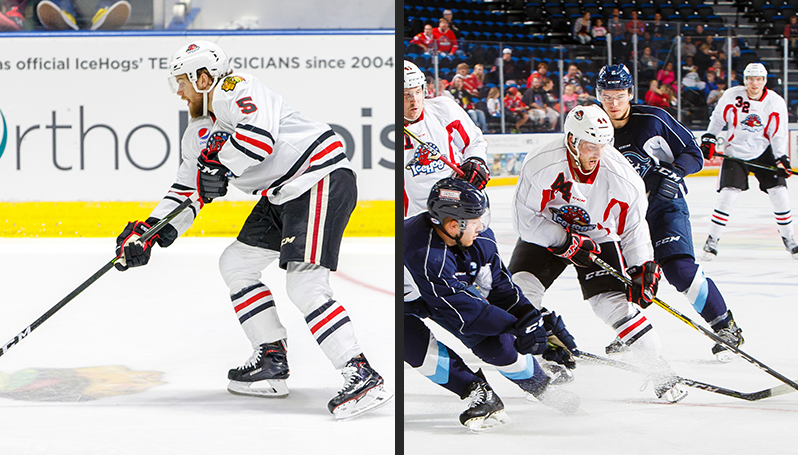 Press, 23, made his season debut with the IceHogs on Oct. 14 and has skated in seven AHL contests this season. The blueliner has collected 10 shots and two penalty minutes during his tenure with the IceHogs in 2017-18 and appeared in a combined 18 AHL contests with Rockford over the last three seasons. The Uppsala, Sweden native returns to Indy where he has collected six assists in 13 contests this year, and a combined 2g-14a-16pts in 43 career appearances from 2016-18.